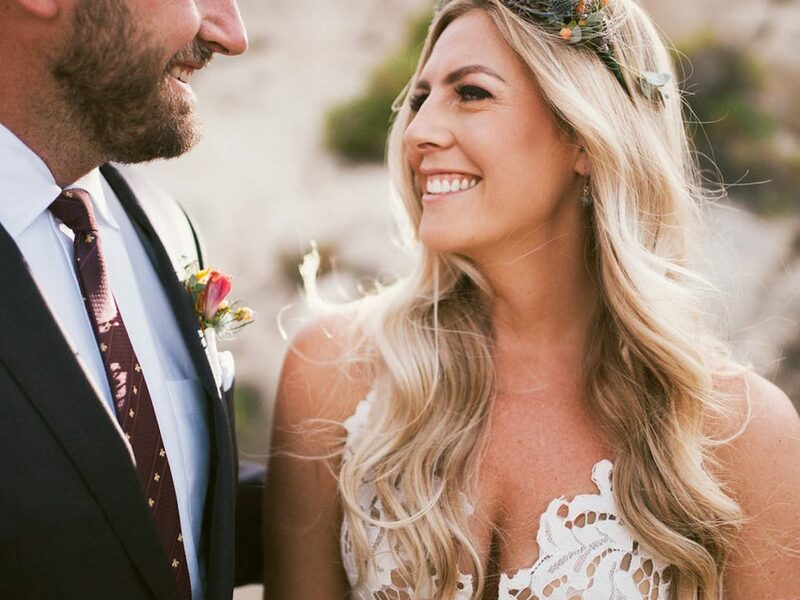 One of the more popular trends in the wedding industry over the past few years has been the use of Airbnb property rentals as the location for a bride and groom to say, “I DO”. 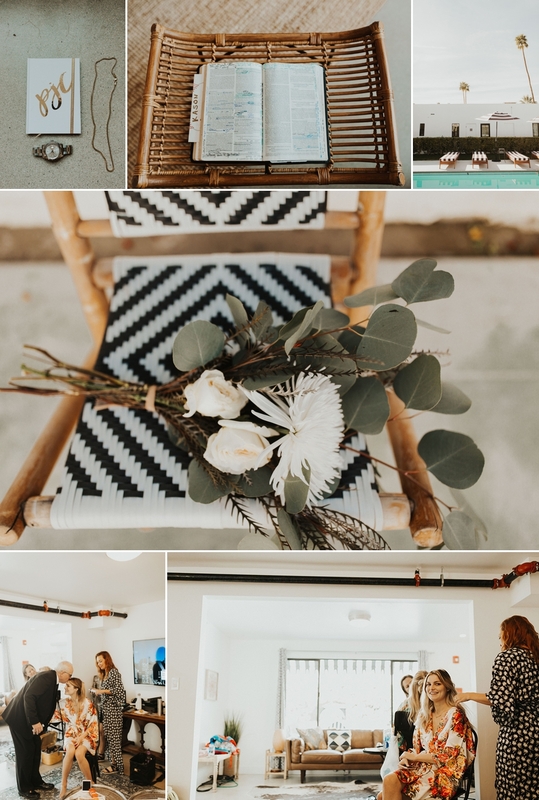 This is because a Airbnb rental can offer a bride the ability to put many personal touches on the big day while keeping the entire event chill with immediate family members and friends. 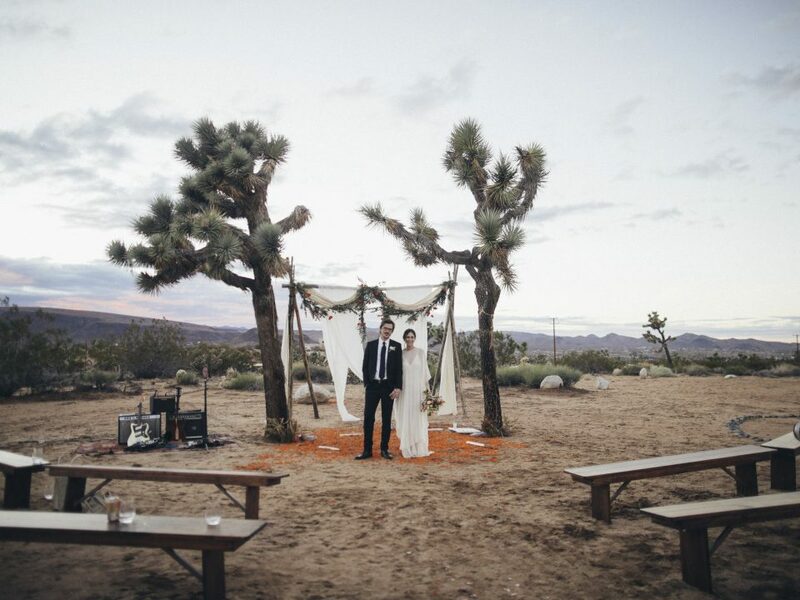 That is exactly what Kason and Payton when they were planning their Palm Springs wedding: a chill wedding they could enjoy in a environment void of stress. The plan was to get married, head out to the desert for some photos, grub on some In-N-Out Burger and then jump into the pool. And it was a solid plan if we must say so ourselves! 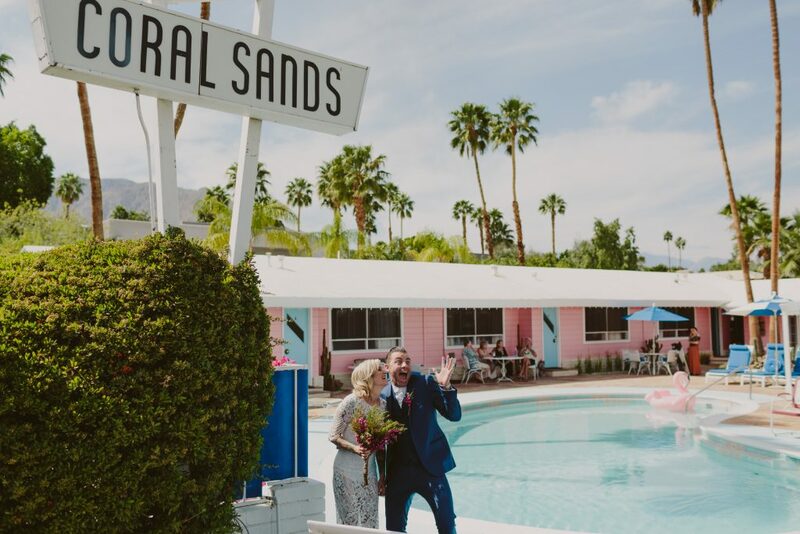 So if you love cozy weddings built on Faith, Family and Double Double hamburgers than this is certainly going to be a Palm Springs wedding you will enjoy! 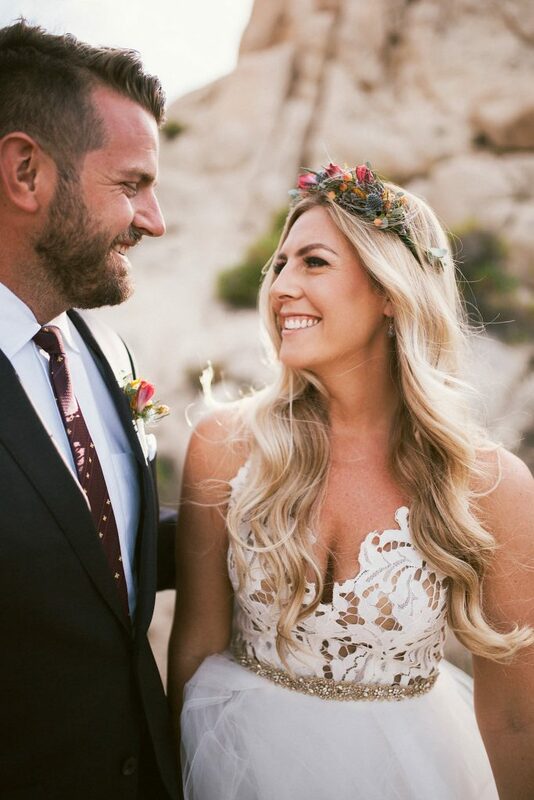 Below are some of the photographs from the Airbnb wedding in Palm Springs that was captured by the talented Rachelle Davis Photography! 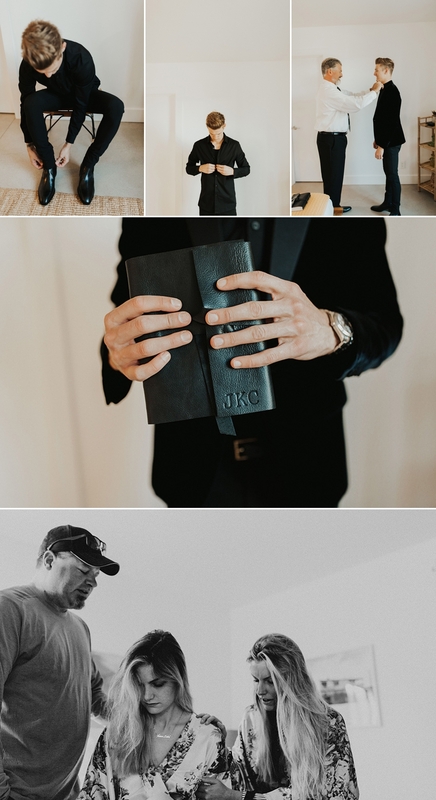 Below are some words from the wedding photographer who documented the day! This wedding day really was surreal. Kason and Payton really were the most chill, fun and adventurous couple. The morning started with the couple getting ready at the Airbnb where everyone snacked on donuts and coffee. 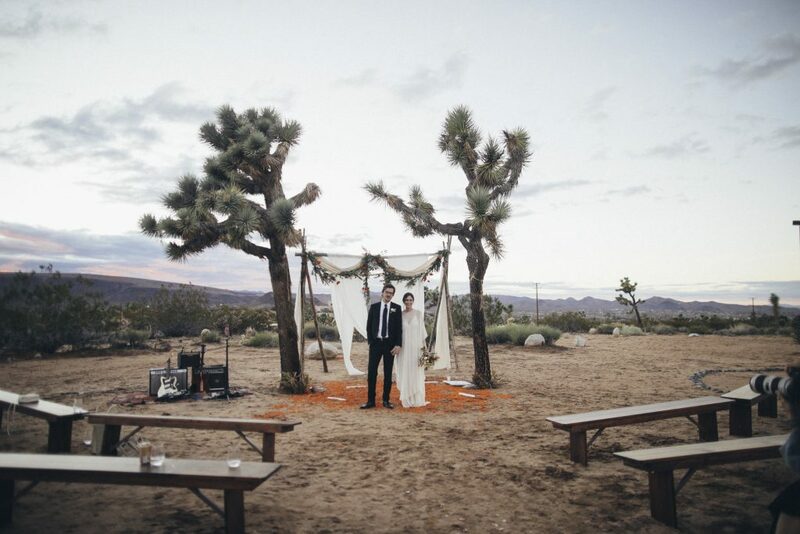 The entire theme of the day was simplicity so the wedding ceremony was performed right at the rental property! After the wedding ceremony everyone got in a party bus and headed to in-n-out…DUH! HOW FUN! Because the only things a girl loves as much as a diamond ring is a double double with fries! After grabbing a quick bite to eat we took the party bus out to literally the middle of the desert to take some family pics. Since Faith was extremely important to both Kason and Payton it was important to them to incorporate it into the day. Therefore, after the family pictures the entire group had the sweetest prayer circle in the middle of the desert. It really was a magical moment. 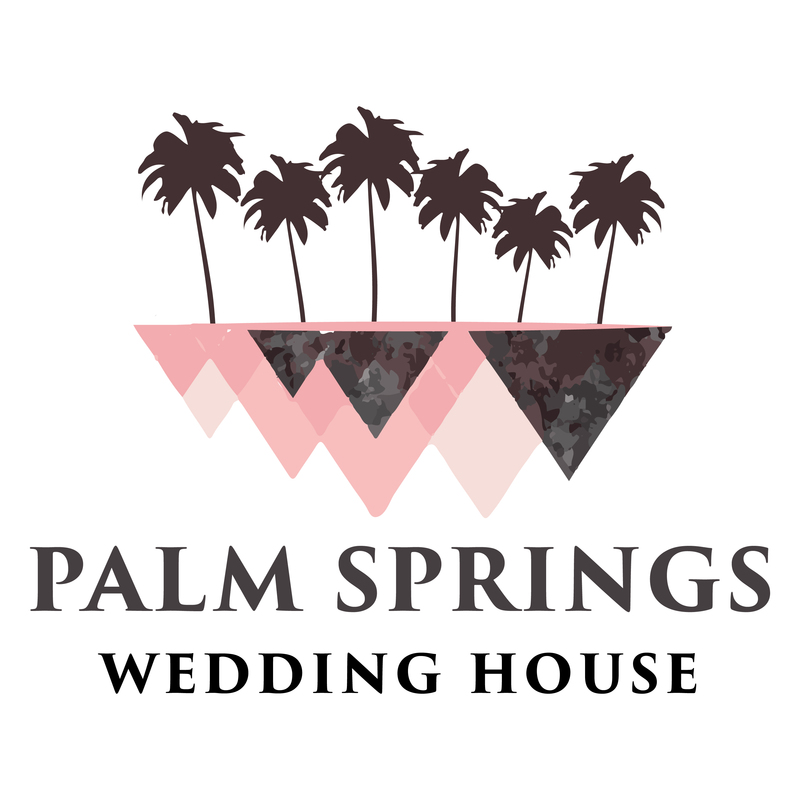 After adventuring around the desert, finding a palm tree jungle, and taking some photos in the heart of Palm Springs we headed back to the Airbnb for the first dances. That was followed with some more food: pizza and cake! 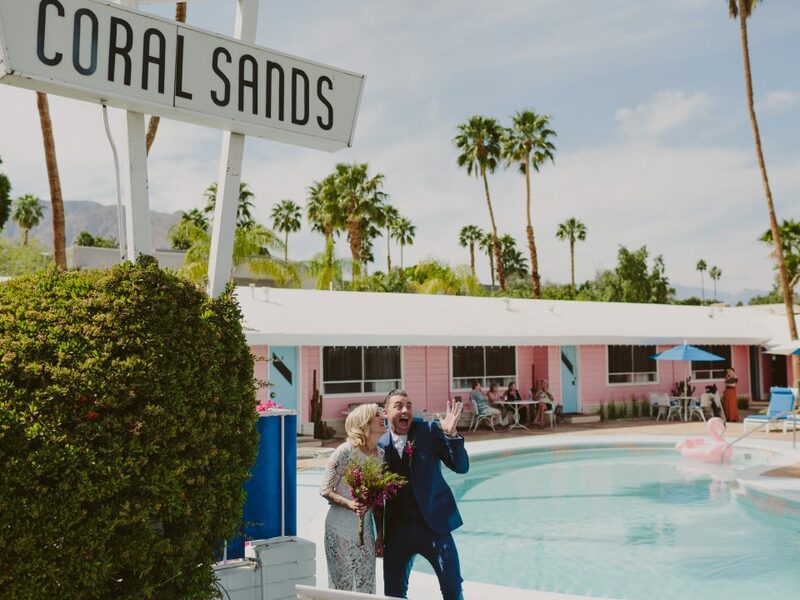 There were many awesome moments from the Palm Springs wedding but my personal favorite had to be when Kason and Payton surprised everyone and jumped in the pool for the final exit! However, another honorable mention was after the wedding ceremony when the entire wedding got into a party bus and headed over to In-N-Out Burger. This was definitely fun, as well as taking some group photos in front of the iconic In-N-Out Burger sign! This was my first time shooting in Palm Springs and I loved how many different texture there were like desert, trees, rocks and cool streets. The city was just FUN. Also, I would like to give a shout out to Brie Leach for doing a great job with the bride’s makeup. 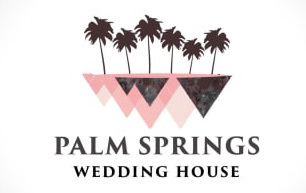 Brie was the only other Palm Springs wedding vendor who was there for the wedding! I am based out of northern California and have been shooting weddings for 4 years!